Practice at least 2 classes a week? UNLIMITED MEMBERSHIP is the best deal for you! We love our members and we want to show you! Enjoy your practice with membership perks and don’t worry about budgeting, expiration dates, or running out of classes! 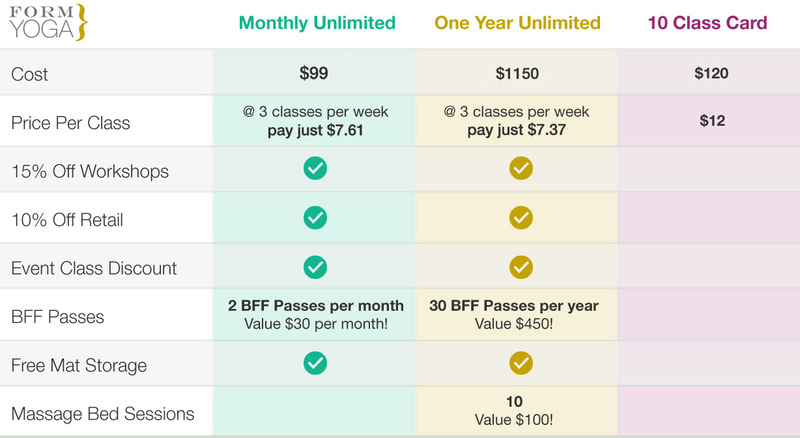 *Yearly membership is a one time up front cost. Monthly Auto-renew will renew on your credit card each month and has a minimum 6-month commitment. Cancel anytime after 6 months with a 30-day written notice. BFF passes may be used for any new student.